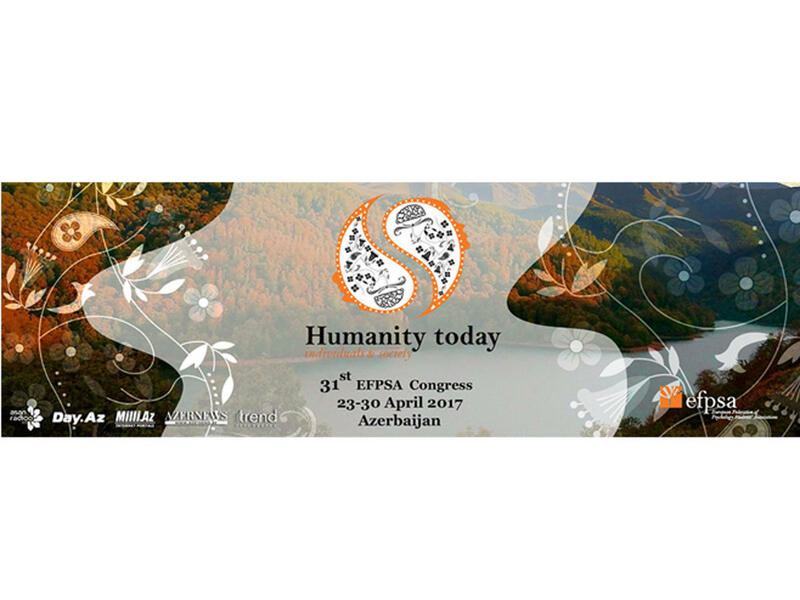 Azerbaijan will host a congress of the European Federation of Psychology Students' Associations (EFPSA) for the first time. Co-organized by ASAN Volunteers and Azerbaijan Young Psychologists Association, the congress will take place in Gakh city on April 23-30 April, Trend Life reported. The 31st congress will bring together three hundred young psychologists and twenty academics from thirty three countries. The event, which will be held under the motto “Humanity today”, will be dedicated to the psychological consequences of wars and terrorist attacks, the problems of intercultural relations, crisis of refugees and internally displaced persons. The congress will also highlight the psychological consequences of Islamophobia, religious and racial intolerance. The media partners of the event are Trend.az, Day.az, Milli.az, Azernews.az. EFPSA, the European Federation of Psychology Student’s Association, was established in 1987 with the first International Congress of Psychology Students in Portugal and now consists of 33 psychology students’ organisations of 33 European countries and regions. Stimulated by its mission, vision and values, EFPSA attracts more and more students every year, with the number of its members increasing and so far represents approximately 300.000 psychology students across Europe. EFPSA is a multicultural and colorful network of European psychology students’ associations, run on a voluntary basis by and for psychology students of Europe.